Adaptability: The New Competitive Advantage is an article from Harvard Business review about four organizational capabilities to attain adaptive advantage. The need for these new capabilities comes from the high level of uncertainty that poses a tremendous challenge for strategy making these days. 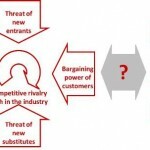 New Bases of Competitive Advantage: The Adaptive Imperative is an article from the Boston Consulting Group about the changing nature of competitive advantage. 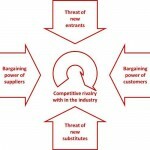 It points out that the traditional bases of competition need to be supplemented by six new bases of advantage. One of them is adaptive advantage. 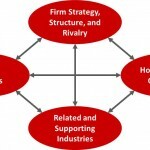 By Dr. Dan Herman Once your Blue Ocean Strategy works, sooner or later someone will copy or even improve your already successful model, and your ocean will become red again. The critical question is: what can be done which is immune from imitations? Apparently the principle is simple. Introducing the Unfair Advantage.